Sunday catchup, and this once, I’m skipping the cut as I don’t have a lot to say. Work on the secret project is going well; the first draft should be concluded later this week. I still don’t know when I’ll be able to say more about this, but when I get the go-ahead to say more, you’ll hear all about it. I will say that I’m having a blast writing this, and I hope you’ll have one reading it. I posted earlier this week about my state of mind, so I won’t repeat that here. But I will mention that today is World Kindness Day. I have my doubts about these kind of days – there’s a National Oatmeal Day, for goodness’ sake – but right now, a little kindness won’t hurt and could help a lot. How you approach that is up to you, but I hope you’ll consider doing something, and keep a little kindness going in the months and years to come. 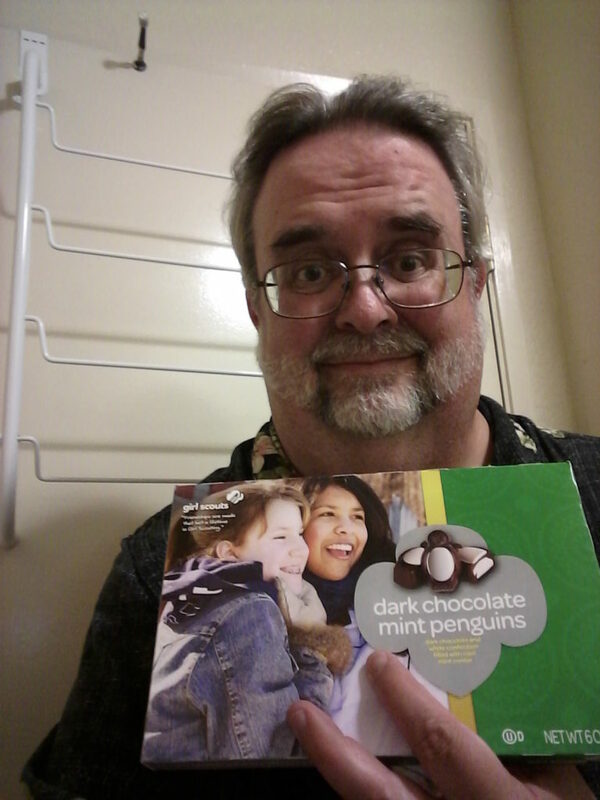 And I have to admit I can never say no to helping Girl Scouts…and I can also never turn down penguins. I’ve got a few minutes while laundry is laundrying, so here’s a Sunday catchup for you. 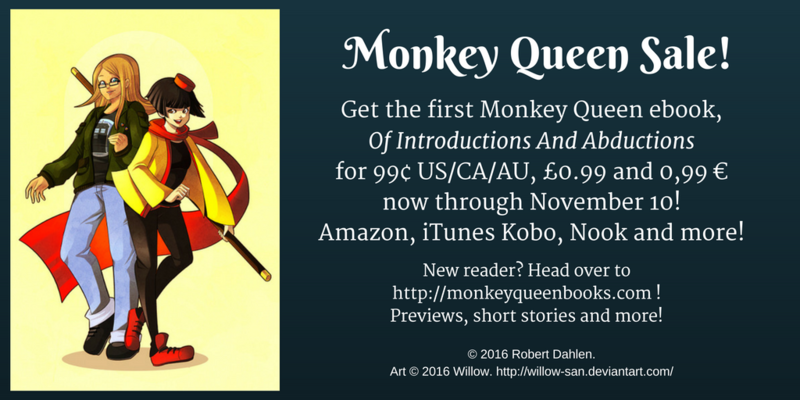 Leading off with a blatant plug: The first Monkey Queen ebook, Of Introductions And Abductions, is on sale through November 10! Just 99 cents US/CA/AU/NZ, €0,99 and £0.99! Get it here at Amazon, or search your favorite ebook store for “Robert Dahlen”! More after the cut.